So you would like to maim yourself with your new safety razor? From feedback received I understand I have taken on something of a responsibility with regards to shaving. My Great Investigation of shaving creams has clearly inspired gentlemen worldwide to return to the vintage-style safety razor of their fathers. With consequences. Sometimes both bloody and disfiguring. This got your attention, right? Fear not, I used a stunt-apple for the photo, no beardy gentleman was damaged in the name of an illustrative photo. Possibly not maiming though, which may be small consolation when you’re standing there in front of the mirror, blood streaming from multiple gashes to your face. That’s when you think “Damn you, Nick, damn you and your romanticising of the ancient ways of beard removal!”, or something to that effect. At least that is how I imagine it goes down. It does happen though. It happened to me the very first time I loaded up the razor and almost sliced off my left cheek, and it still happens to me from time to time. Mostly though it happens when I stop concentrating and get sloppy, forgetting the vital rules. I have to mention though, “safety razor” is a bit of a misnomer. 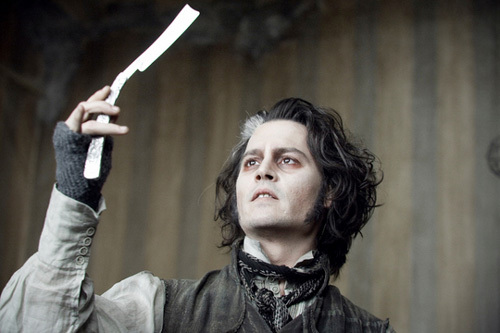 The name comes from when the even older straight razor (aka the “cut-throat” blade of Sweeney Todd notoriety) was replaced by the razor with removable blades and a housing that did a passable job of not letting you butcher a client in for a beard trim. 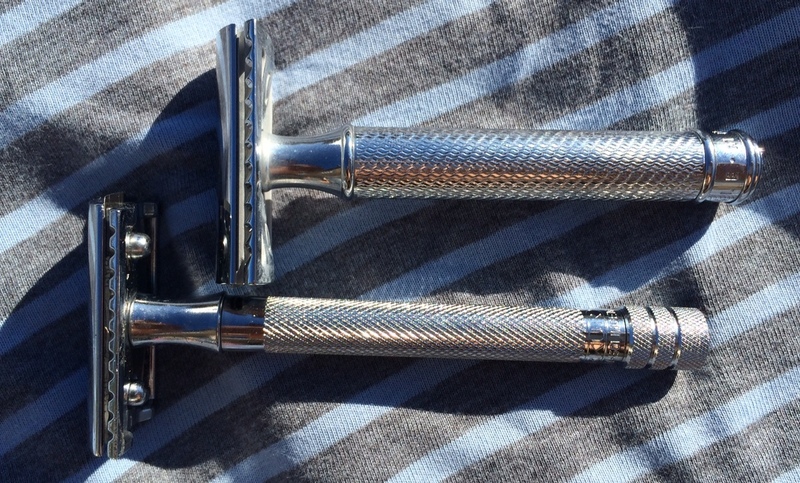 Safety razor as in safer than a 5″ long blade of unbelievably sharp razor steel. To emphasise, we’re not talking “safety” as compared to the typical multi-bladed razoring devices of today. While the multi-bladed razor will remove stubble, develop your six-pack, attract attentive females and any number of cool features, the safety razor is a device of sinister ability. 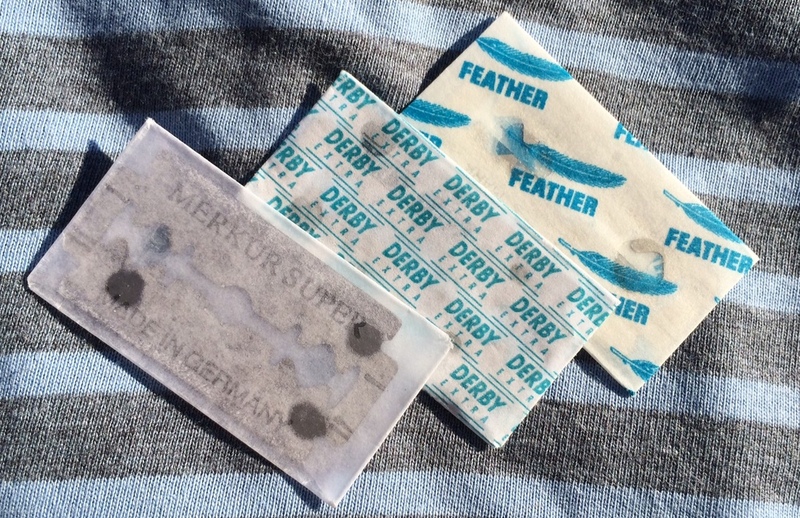 The blades are viciously sharp and cut like, well, really very very sharp razor blades. And if you’re not a bit gentle it will bite. Get your skin nice and soft, preferably a nice, long, warm shower. Use a really good shaving cream (if you need a hint, read 1/2/3/4), and keep face and cream properly moist! 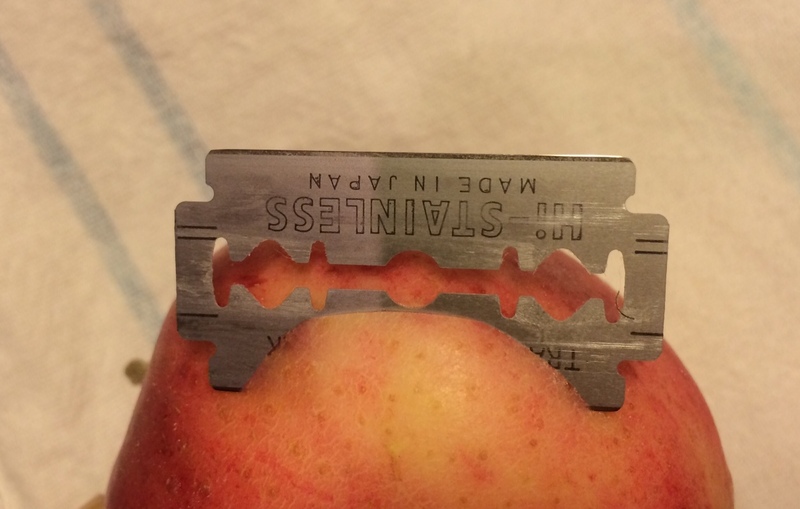 Use a pretty fresh blade. They are cheap, don’t be a cheapskate. Be careful when dealing with razor blades. Let the blade and the cream do the work, don’t force the blade into your skin. When you force it, you will cut yourself. Re-apply cream if you’re going to shave in a different direction. The cream is saving your skin. After you have rinsed off the cream, feel for the burn. The less burn you feel, the better job you have done. Learn from the process, improve your technique and find a cream that works for you. There really isn’t that much more to it. Be careful, take your time, be gentle. Now don’t go blaming me for any more mishaps, OK? Man up. Oh, and make sure you read all parts of the Great Shaving Cream Investigation for advice on selecting the best shaving cream, and hints on how to use them properly. PS: I have come across a product that claims to help seal the cuts and gashes you might cause yourself. Within reason, I expect. I can’t expect it to manage the sort of cuts that require Frankensteinian sewing with needle and twine. In any case, I’ll get around to this when I sum up the shaving cream reviews. I need to cut myself a couple of times to fully test it. Damn. You’d be very welcome at http://www.theshavingroom.co.uk which is a UK based forum rather than American. As well as being obsessed with all things shaving-related (all the different types of razors, shaving brushes, creams and soaps) we’re also into other sartorially important items like scents and, of course, dressing well. Anyway, keep up the good work and I shall continue reading with interest.